Based on flowers and plants of the biblical Holy Land, it is inspired by the persimmons grown in Ein Gedi in ancient times. 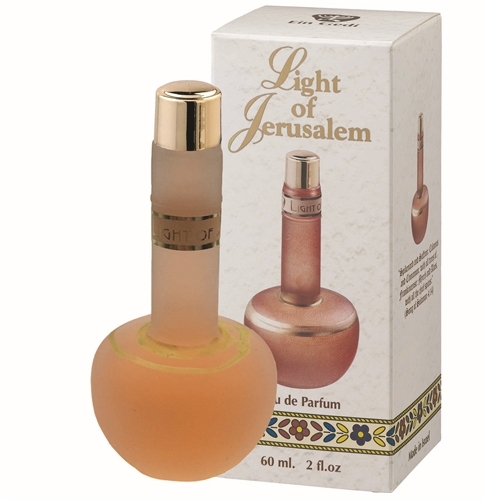 A wonderful biblical parfum, this scent is as delightful as it is meaningful and historical. Made in the Holy Land of Israel, it is based on the oasis of Ein Gedi in the time of the Bible. A beautiful place known for its persimmons and unique persimmon oil, it's West of the Dead Sea, and near Masada and the Qumran caves. Made of a sweet combination of Israeli flowers and plants, this Israeli perfume is made with ingredients based on what would have been used in biblical times.